Tree of Life Anglican meets Sundays from 10:30 AM at 2331 Miracle Lane, Mishawaka, IN 46545 (on the back side of the Town & Country Shopping Center) and usually shares lunch together afterwards. Anyone is welcome to join us, no matter who you are, what you've done or where you've been. We are a fellowship of many different ages (we've got kids! ), different races and nationalities and many different backgrounds. The love of Christ first draws us together as we worship God, share our lives together and reach out to those around us with the love of Christ. 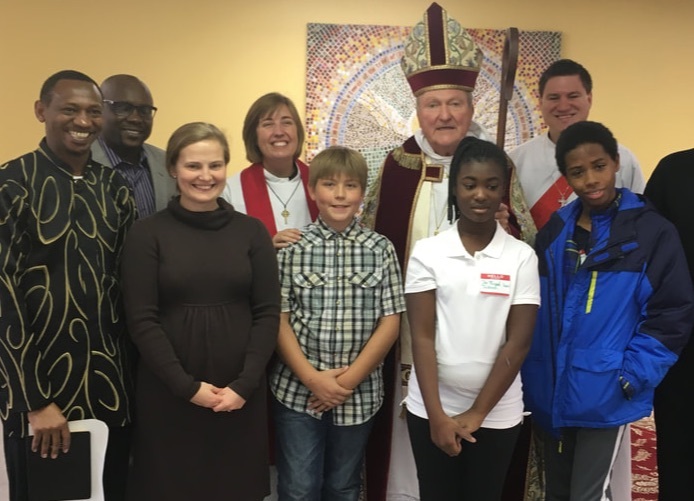 We are joyfully an Anglican Church (Anglican Church of North America) and the Diocese of the Great Lakes serving under the Lordship of Jesus Christ. People from any religious background are welcome to our community. Give to the Ministry of Tree of Life. Tree of Life now accepts online donations through paypal. Thank you for sharing in our blessings and joys through your generosity. To donate please just click the "Donate" button.